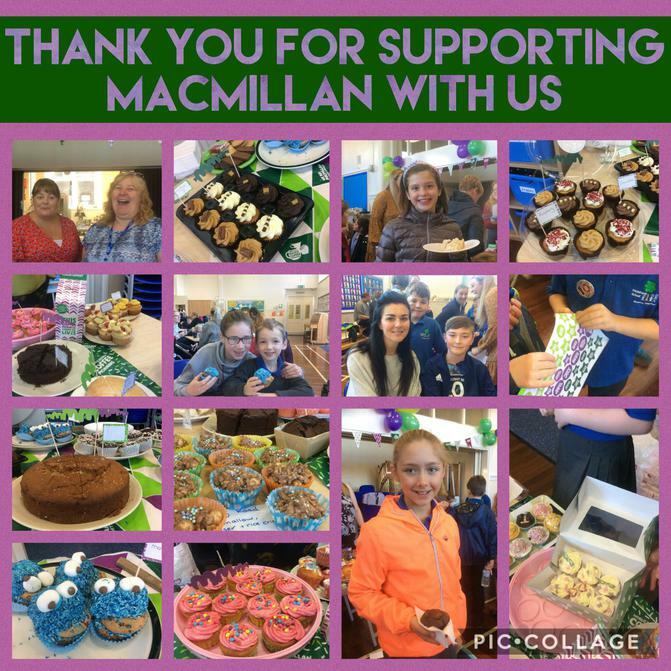 A BIG THANK YOU for your support of our Macmillan Coffee Morning. Your baked donations were great and the atmosphere in the hall this morning was lovely. Cakes will be on sale again after school today.